By Amy Harwath/CU-CitizenAccess.org — A Northern Illinois University lecture hall was the target of a mass shooting in 2008 where five persons were killed and 18 injured before the shooter took his own life. At the time of the shooting, Northern’s students had to voluntarily sign up for emergency text message alerts, which only reached up to 10 percent of the university’s students. Now, Northern is instituting a new emergency notification provider,Everbridge. The new system is not fully implemented, but roughly two-thirds of students receive emergency text messages, officials say. 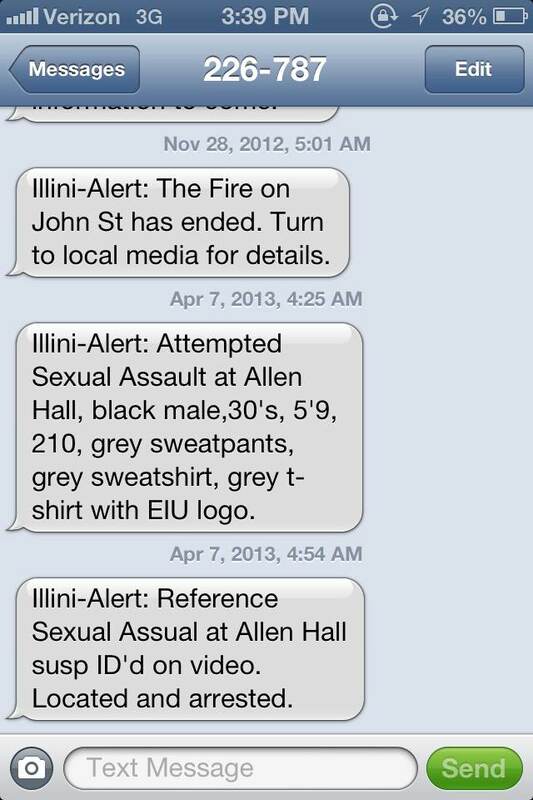 But the University of Illinois at Urbana-Champaign – where the Northern Illinois shooter, Steven Kazmierczak, lived and attended graduate school at the time of the shooting – has not changed its emergency alert system to reach more students via text messages. With its current opt-in system, however, less than one-third of Illinois’s roughly 42,000 students are signed up for text alerts, Illinois campus security officials say. And Lieutenant Todd Short of the University of Illinois Police Department at Champaign-Urbana believes Illinois’s system works well because its alerts go out in several ways. “We don’t require people to register their cell phones in part because we use a multi-modal approach to reach our campus populace,” said Short, who oversees the alert system.